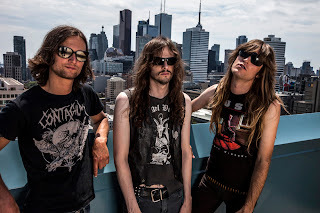 Cauldron the Canadian heavy metal band formed in 2006 in Toronto, take their influence from the NWOBHM scene of the early 1980's. They were formed following the breakup of Goat Horn, with guitarist Brandon Wars leaving to form a new band, Zuku. 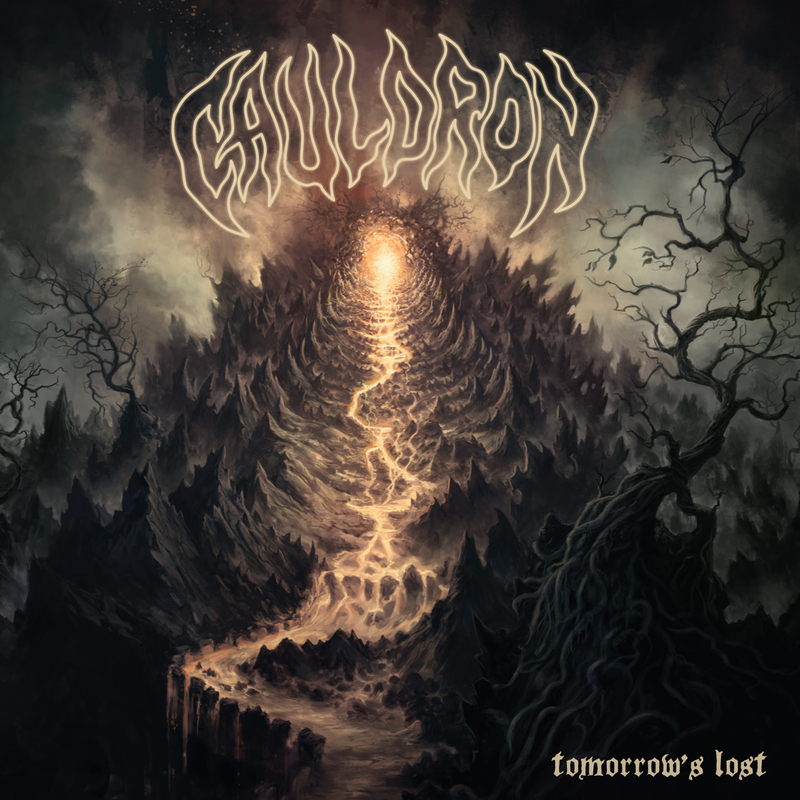 Cauldron consists of Jason Decay on vocals and bass and Ian Chains on guitar. Cauldron's song "Restless" is featured in a DC Shoes video of professional skateboarder Danny Way. Drummer Al Chambers left the band in 2008 to join Relapse Records' Toxic Holocaust, and the position was filled briefly by Steelrider, the original drummer of Goat Horn. He was then replaced by Kill Cheerleader/Zuku/Crystal Castles drummer, Chris Rites. After Rites' departure from the band in 2009, Chris Steve of Canadian band Aggressor took over the role of drummer until December 2011. Chris Rites temporarily returned for the recording of Tomorrow's Lost. In July 2012 Cauldron announced Myles Deck as their new drummer. Tomorrow’s Lost was recorded in Spring 2012 with producer Jameson Elliott. Despite stating that it’s not a concept album as such, Cauldron guitarist Ian Chains explains: “As an album title it refers to varying degrees of hopelessness that we can somehow relate to. 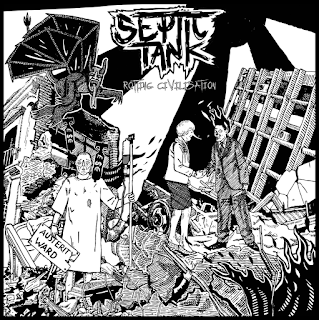 It means striving hard to achieve something that may never see the light of day, or making poor decisions that come back to ruin everything for you.” Despite the bleak sounding influences, the nine album tracks pulsate with classic heavy metal licks and urge you to fist-pump with NWOBHM-inspired vocals. 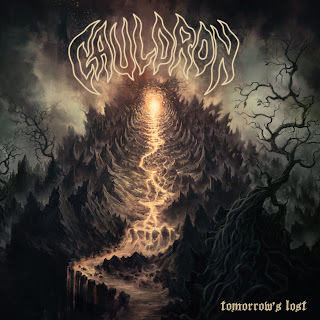 Cauldron are a band who remain true to their heavy metal roots, and yet have the unique ability to span genres, continents and cliques with their irrepressible enthusiasm and style. Counting the likes of Alice Glass (Crystal Castles) and Lady Gaga’s best friend and DJ Lady Starlight among their high profile fans, Cauldron have a universal charm that has seen their legions of fans swell with every tour and record. Cauldron’s anthemic songs really come to life on Tomorrow’s Lost; dripping with attitude and soaked in melody. Deliberately shunning modern production values, and transcending scenes and fads, Cauldron take you on a gloriously retro ride through the annals of heavy metal, inviting you to join them in believing that true heavy metal is more than a passing movement; it is a way of life. 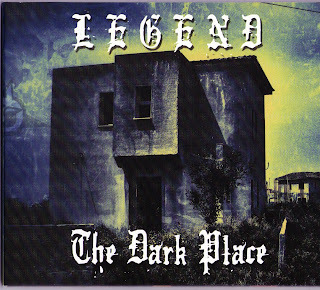 Easily their best album to date, this tribute to NWOBHM is well executed, oh wait its not a tribute??? Damn i could have sworn that this was for Angelwitch and Witchfynde fans! So if you want an authentic taste of what used to rock the UK in the good old days then this is a pretty good one to add to the collection.